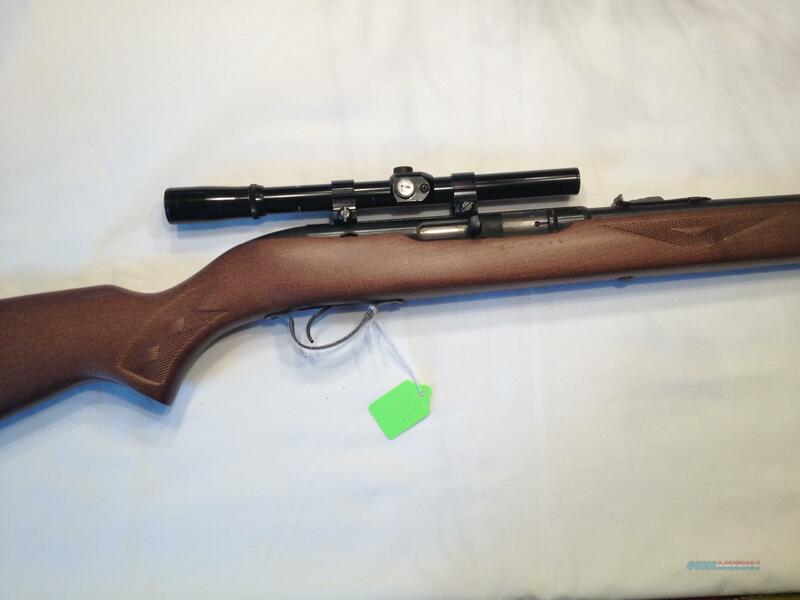 Description: SAVAGE ARMS - WESTFIELD, MASS U.S.A. - HIAWATHA MODEL 587 - .22 CALIBER LONG RIFLE - SEMI-AUTO RIFLE - ONE PIECE WOOD STOCK WITH CHECKERING ON FOREARM AND PISTOL GRIP - RIFLE SIGHTS WITH ADJUSTABLE REAR SIGHT - TUBEULAR LOAD UNDER BARREL - USED - VERY CLEAN GUN SHOWING VERY LITTLE SIGN OF USE OR AGE - GREAT STARTER GUN FOR YOUTH OR LADIES!! Addtiional photos available upon request - Lay-A-Way Plans available at no extra charge - MN residents add .06875% Sales Tax - USPS Money Order same as cash price listed - Credit Cards add 3.5% - Must ship to an FFL of your choice. Please see all the SMITH & WESSON - BROWNING - WINCHESTER'S -COLT'S - REMINGTON DERRINGERS - and fine GUNS we have for sale on GUNS AMERICA.